New Year, New Style, More Miles! Is it just us, or is the beginning of a new year a totally valid reason to splurge on renovating your running wardrobe? Since fashions change as quickly as the seasons, it can be tough to keep up to date on the latest trends. So we pulled together five different outfits to keep you looking (and feeling) fierce while pounding the pavement this winter. From neutral colors to loud patterns to the “I’m going to happy hour after this run” look, there’s something here for everyone. We’ve also pointed out versatile wardrobe staples in each outfit that are worth investing in. You can feel confident sporting any one of these ensembles! Neutral colors never go out of style (it’s a fact—trust us). Earthy tones are perfect to mix and match, and they add a classic touch to any outfit. Wear this ensemble to the gym or for a jog around the block. Wherever you go, this casual yet trendy outfit is sure to impress! 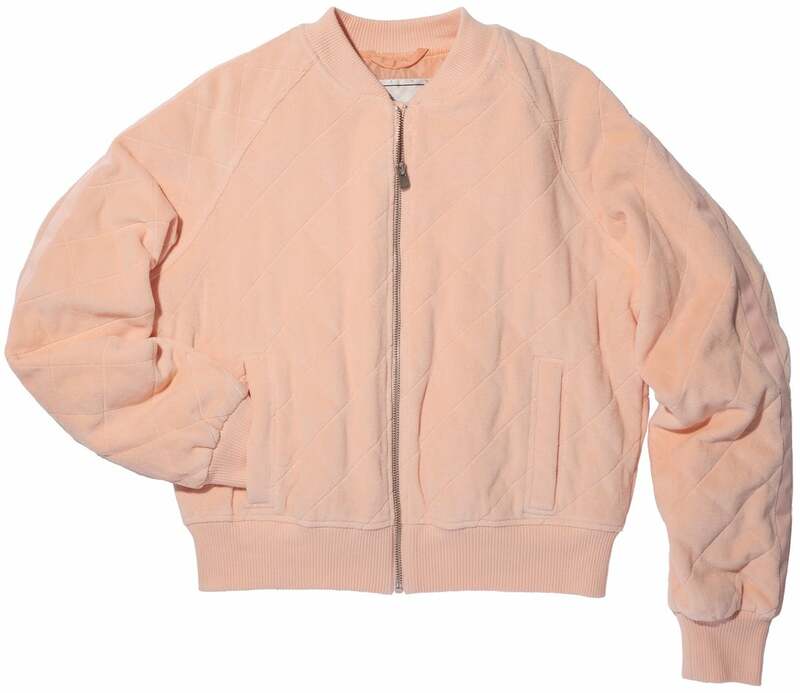 You’ll be feeling peachy keen in this jacket! Perfect for layering, this trendy bomber features moisture-wicking material to keep you feeling dry—rain or shine. Luxe velour fabric makes this jacket cozy enough to wear around the house or outside on a chilly day. If you’re all about comfort when you run (and who isn’t?! ), these pants were made for you. Two-way stretch fabric and a gusseted crotch make these joggers breathable and (more importantly) give you the freedom to move without any constriction. 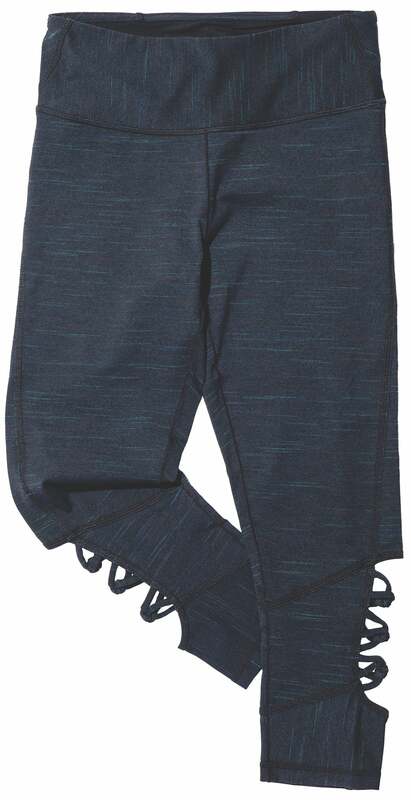 Wear these as a warm-up pant or indoors for a cross-training sesh. No matter your size, this bra offers the support you need, sans uncomfortable underwire. Built-in cups give you a natural shape and help soften any bounce, and a stitch-free hook-and-eye closure rests flat against your back. You’ll feel comfortable, supported and sleek! 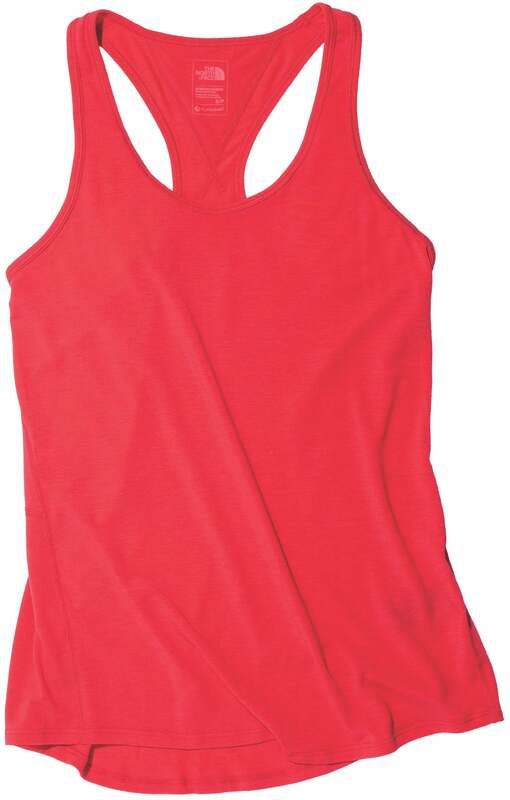 No mid-run chafing fears with this airy top. Not only is this versatile top lightweight and breathable, but it’s also made with 100 percent recycled polyester, so it’s eco-friendly. Now that’s one top you can feel good about wearing! 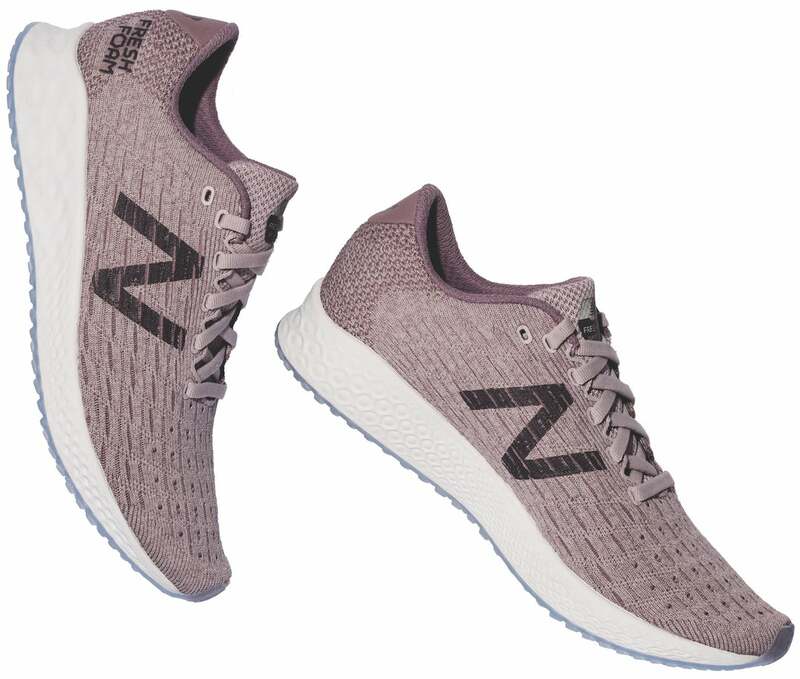 Make the newest addition to the New Balance family your first purchase of 2019! New as of Jan. 1, this shoe is made for neutral runners. It’s light enough so you can hit top speeds but also has the cushion and support you need. The mauve color ensures it won’t be clashing with the rest of your workout wear. Wear this watch running or out to a party; it’s bound to be a conversation starter. 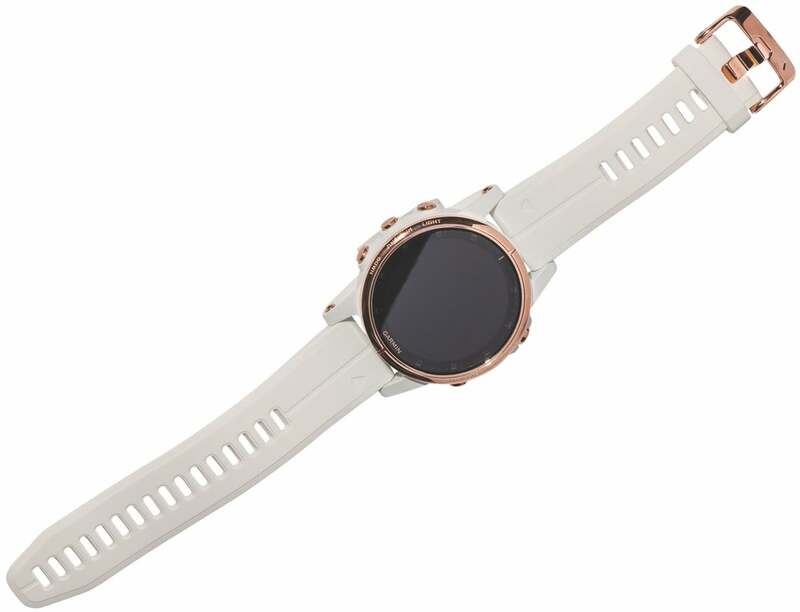 Featuring GPS, wrist heart rate technology, smart notifications and a solid battery life, this is one watch that goes with any outfit (we just can’t get enough of the rose gold!). Ditch your phone at home because you can load up to 500 songs and pair it with your Bluetooth headphones for a completely wireless run. And if you need a quick pick-me-up mid-run, you can pay for your coffee on your watch—Garmin Pay lets you pick up the tab whenever there’s a contactless payment scanner available. Let’s be honest: Sometimes it just feels good to stand out. Put this getup on when you’re ready to slay that next workout or just have a good time while gettin’ your sweat on. With bright colors and bold patterns to boot, you can’t help but feel happy! Peekaboo! This long-sleeve top features a keyhole back so you can flaunt a bright sports bra underneath and get some fresh air while you’re at it! 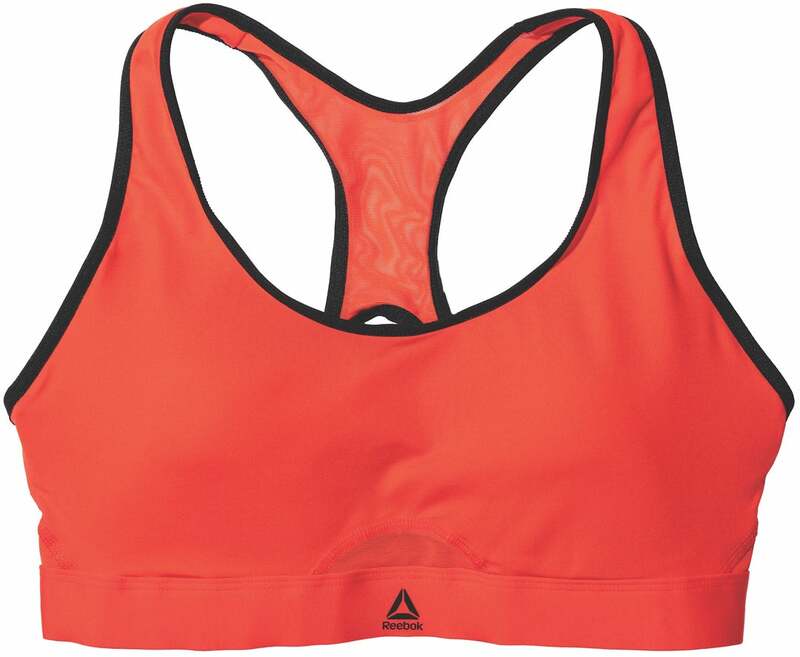 Moisture-wicking fabric will keep you comfortable and feeling fresh on the run. The monochromatic design makes it an ideal top to pair with bold-patterned bottoms. Maybe it’s just us, but do these pants put a smile on your face? Bright colors paired with a beautiful floral design ensure you’ll stand out from the crowd. These leggings aren’t just pleasing to the eyes—they’re also soft to the touch and have UPF 50+ sun protection, so you can get your vitamin D safely! Is there a worse feeling than putting on socks that bunch up inside your shoes? 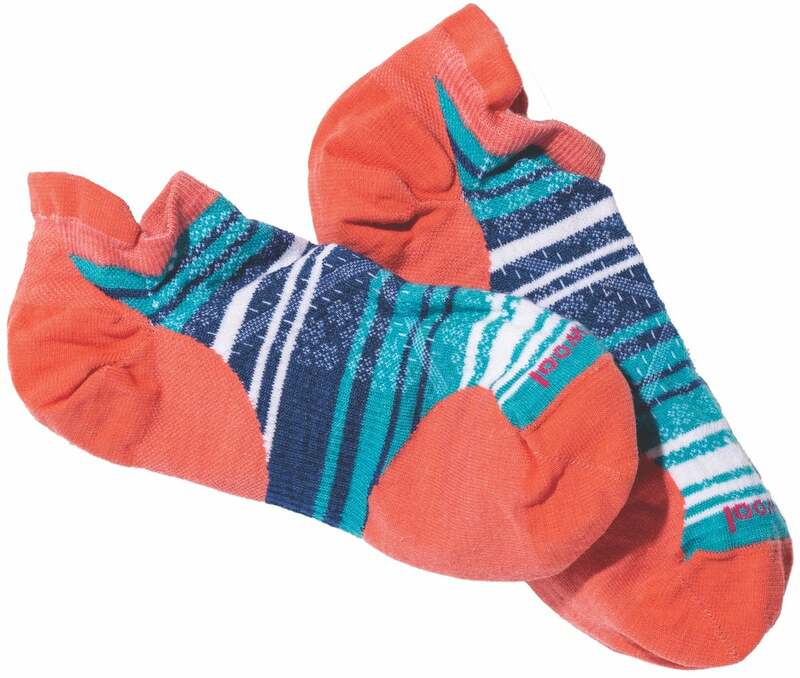 Cringe no more, because this sock from Smartwool is light enough to fit comfortably in any close-fitting shoe and has mesh ventilation zones to keep your feet feeling fresh. We also love the women-specific fit, which features a narrower profile. 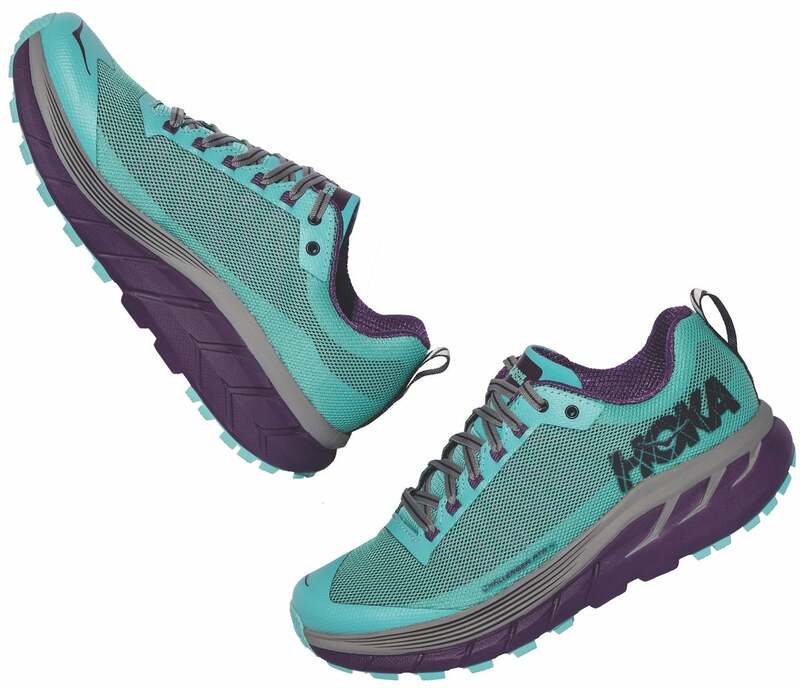 Take these shoes on the trail, road or track—they’re made for any terrain you want to tackle. Built to grip any rough patches or slippery slopes you may encounter, these shoes have just the right amount of cushion to be as dependable as they are fashionable! Wear this bra under any outfit; it’s bound to be your new favorite. 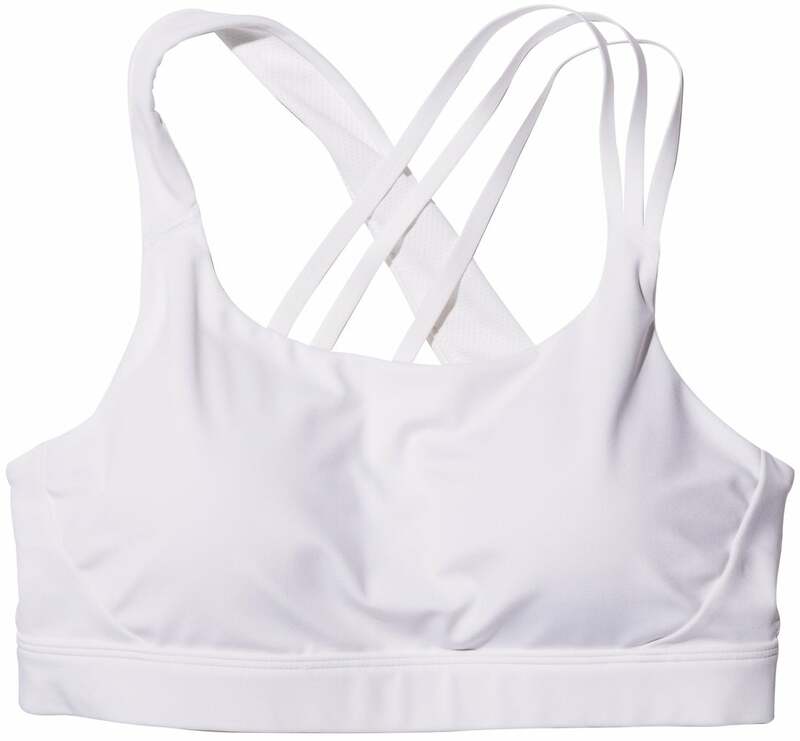 Made with a quick-wicking technology to keep sweat away from your body (buh-bye under-breast chafing), this high-impact bra is built to endure long runs while giving you the support you need—no matter your cup size. Plus, its bright color can add a pop to any outfit! If you’re a woman who opts for traditional patterns and black and white colors, this is your style! Call it modern chic if you will; it’s a timeless running look. 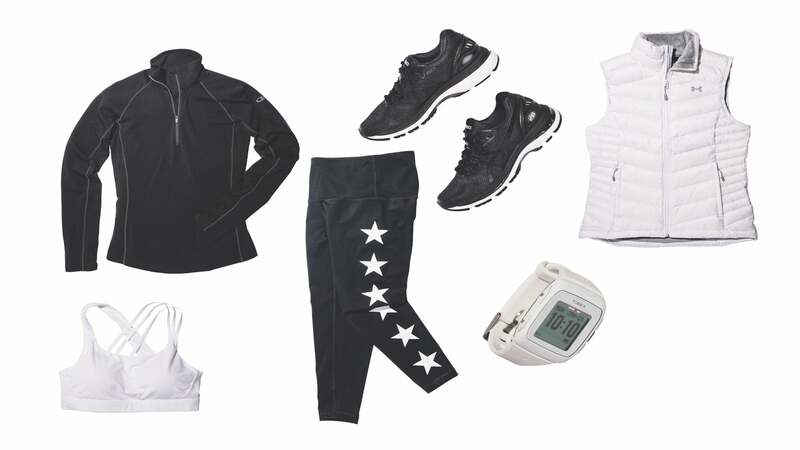 This outfit is perfect for the colder months with warm layers, compression leggings and a killer pair of kicks. Take this look on a long run outdoors or HIIT workout at the park—you’ll look effortlessly iconic. You’ll look like a star in these pants (we promise)! These compression leggings will keep you feeling cool and smelling oh so good with sweat-wicking, antimicrobial fabric. Enjoy a high waistband to avoid annoying mid-run adjustments and an inner back pocket to store a credit card or keys on the run. Pair these bottoms with any top for a polished look. Added bonus: You can shop for sizes up to 5X! If you ever want to highlight your strong back (we see you working those traps in the gym! ), you’ll need this bra in your life—we can’t get enough of its asymmetrical straps. Made for short- to middle-distance runs, this bra feels smooth with a slight bit of compression to keep your “girls” supported. 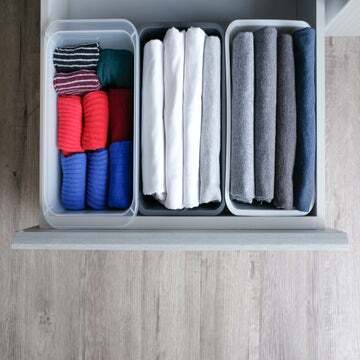 Keep the cups or take them out—they’re fully removable so you can adjust as needed. 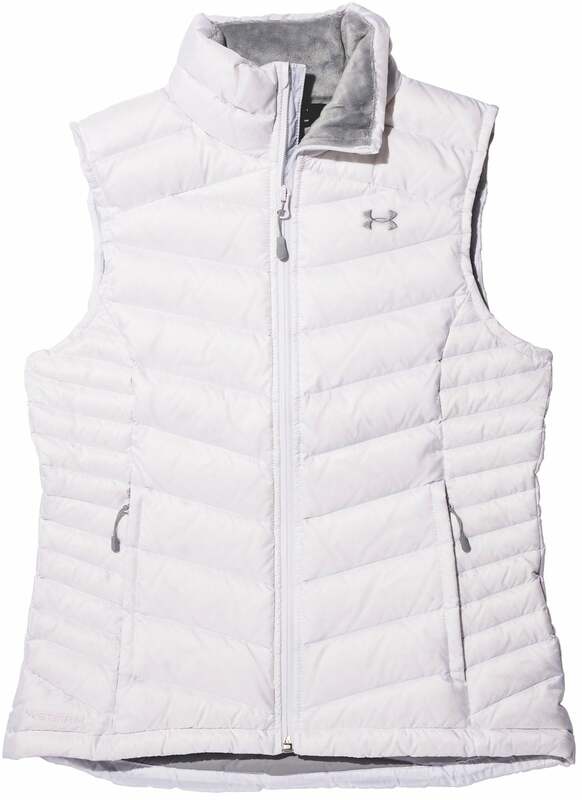 Wear this vest rain or shine because it’s made with special technology to repel water without sacrificing breathability. In addition to the zip hand pockets, there is also an inside chest pocket to store anything you may need to grab while on the road (or trail). Down insulation will keep you feeling cozy and warm! 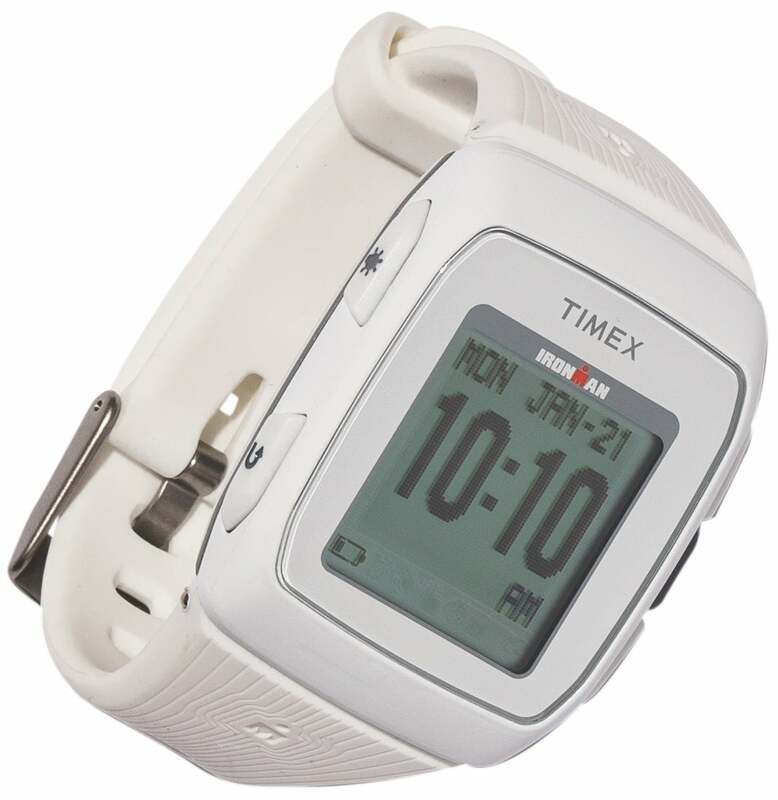 This affordable, simple and dependable GPS watch is the perfect companion for any run—or workout for that matter. If you’re someone who doesn’t want too many bells and whistles when it comes to the gear on your wrist, this watch is right up your alley. Tap screen technology, pace alerts and a customizable vibrating alarm are a few of its features. The slim design and lightweight silicone material make for a sleek look. Lace up these shoes and take them as far as you want—they’re sure to become your new best friend for long-distance runs. The lightweight gel cushioning helps absorb shock and provides unparalleled comfort when you’re on the road for extended periods of time. The women’s models also have specific features for female athletes like 3mm of additional height on the midsole to relieve Achilles tension. We’ll run to that! 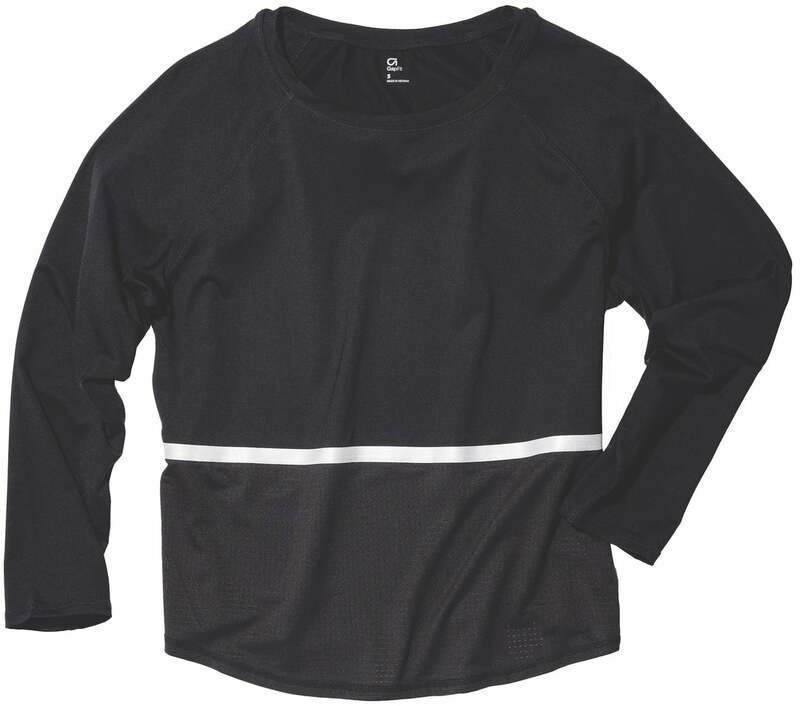 Make this long sleeve your go-to winter base layer. 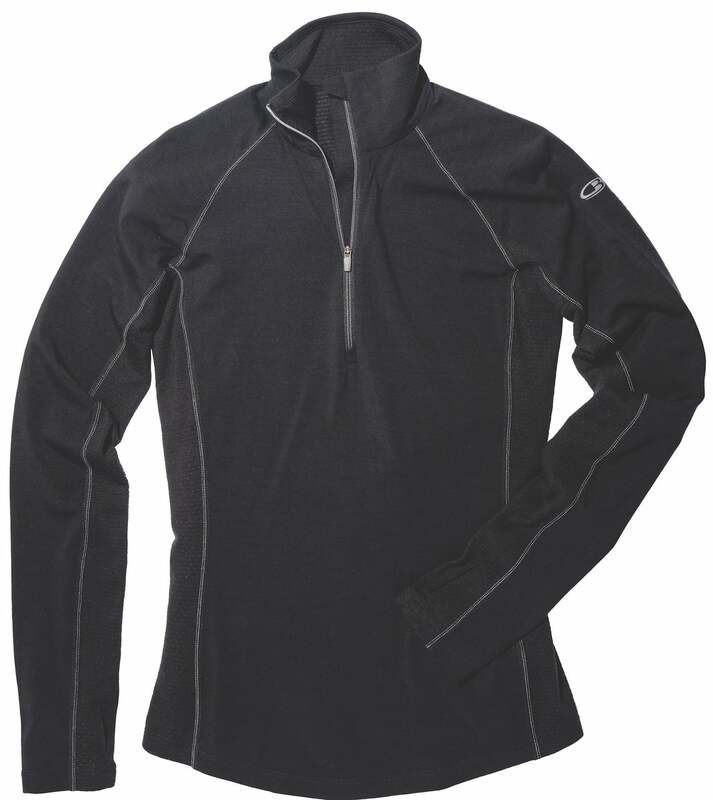 Made with merino mesh for optimal ventilation when you’re working hard and a half zip so you can adjust how warm you want to feel, this top is perfect for wearing all by itself or underneath a jacket if it’s frigid outside. It’s also naturally odor-resistant, so you can kiss that smelly post-run stank goodbye! 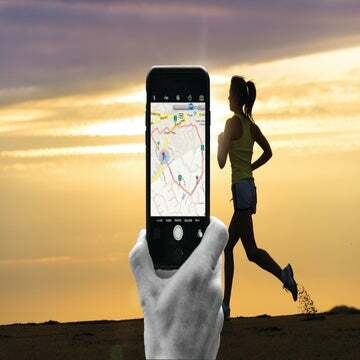 Whether you’re an early bird or a night owl when it comes to logging miles, you’ll want to make sure you have the right clothing to be seen before the sun rises or after it sets. This outfit is made for you to shine (literally) with different reflective elements and bright neon colors so you can stay safe—at dawn or dusk! Oh hayyy, girl! We could see you from a mile away, but that is the point. Step out on the town in these bright pink and neon yellow shoes that will be sure to grab anyone’s attention with 360 degrees of reflectivity. 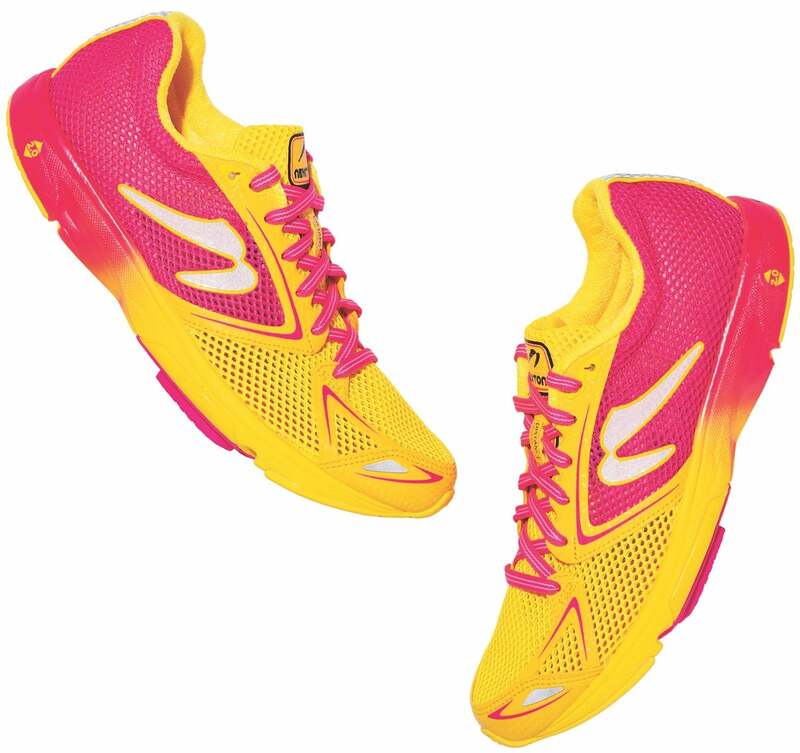 Beyond its bright features, the shoe is also incredibly lightweight, ideal for running fast no matter the distance. 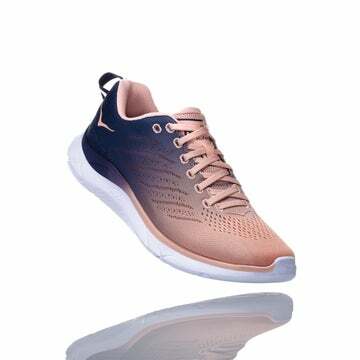 Built with Newton’s unique action/reaction technology, the shoe has a trampoline-like cushioning system that helps you preserve energy and maintain a quick turnover. 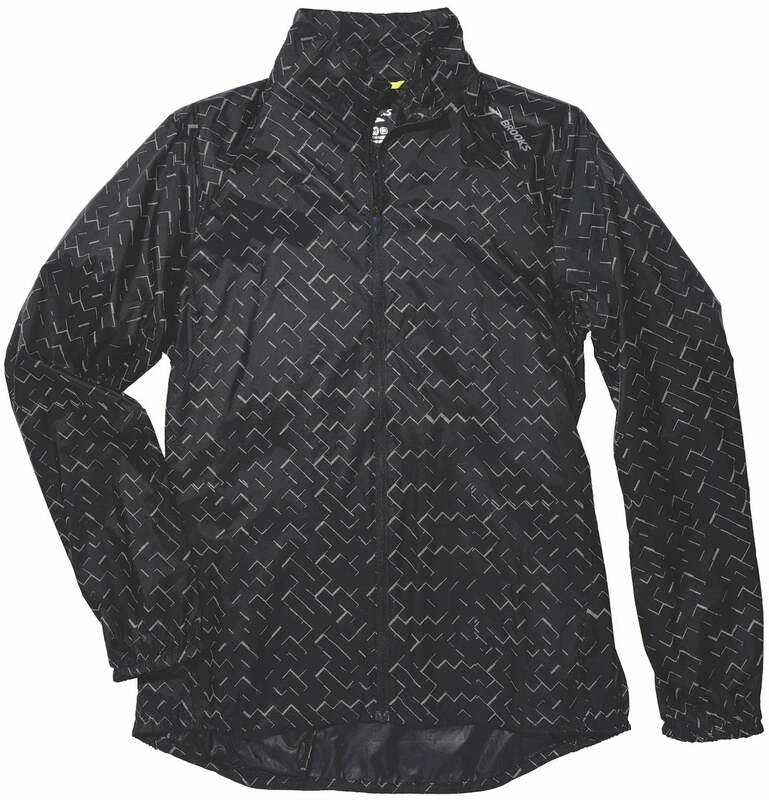 This water-resistant and fully windproof jacket will keep you visible while logging miles. We love the reflective pattern and lightweight material. Why this jacket takes the cake: You can pack it up into its own zip pocket with an elastic strap, so you can run with it like an arm band, then take it out if rain or inclement weather hits. You’ll be shining bright in these leggings! Featuring an all-over reflective print that’s long-lasting and comfortable, no one will be able to miss you when you’re sporting these pants. Stash your phone or other small items in the two side pockets. Functional and fashionable? We’re in love! Grab this three-quarter-sleeve top to throw on over a tank or simply wear it over a sports bra— its reflective stripe wraps around the entire piece, giving you total reflectivity. Even if you work up a major sweat in this top, its moisture-wicking technology will help you keep dry. 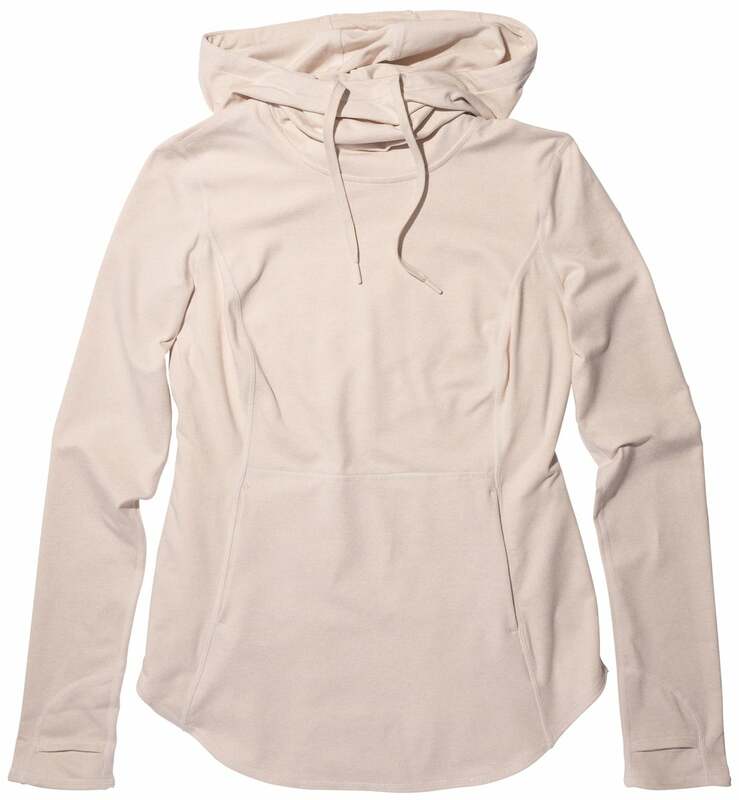 The lightweight fabric gives it a barely-there feel. 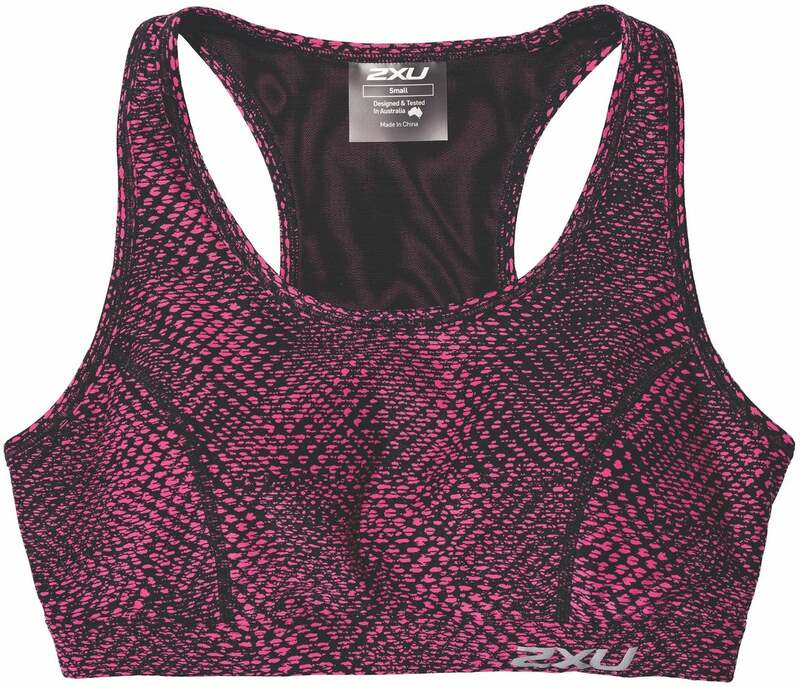 Available in early 2019, this new sports bra from 2XU aims to help you focus on what matters most: your run. Providing excellent support and full coverage, the bra also features a reflective logo in case you’re feeling like rocking it solo. The wide straps ensure a secure fit and special fabric helps to reduce bounce. A comfortable bra that keeps everything up top in place? We’ll take two! Not only is this headlamp uber lightweight, but it also has more than 25 hours of battery life, making it extremely dependable. No batteries needed—just give it some juice with a USB charger, and you’re set to hit the road! 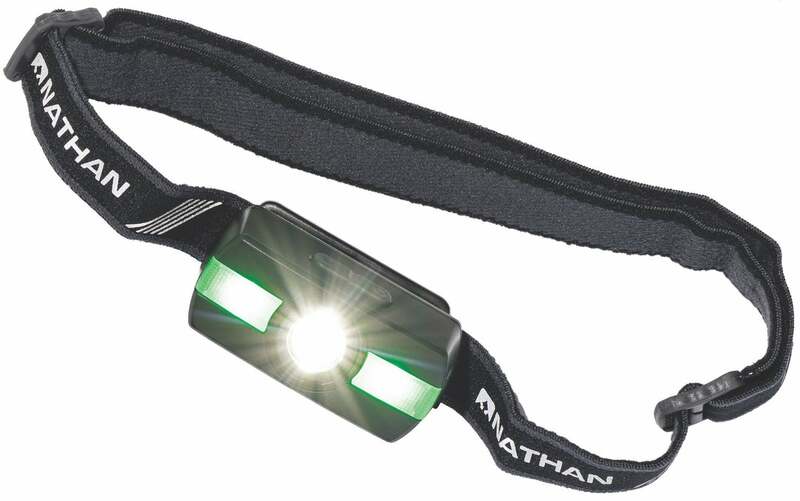 The head strap is also reflective, so you can truly have 360 degrees of reflective visibility. Toggle among five different light modes ranging from low to high and strobe. One of the best things about the invention of “athleisure” clothing is that it is now acceptable to wear comfy, cute workout clothes to restaurants, the mall or wherever life may take you. Throw this outfit on when you’re planning to meet up with friends post-workout or wanting to sneak in a quick yoga class in between errands—you’re sure to look amazing! Pro tip: Throw some dry shampoo and body wipes in your bag so you can feel fresh post–sweat sesh. 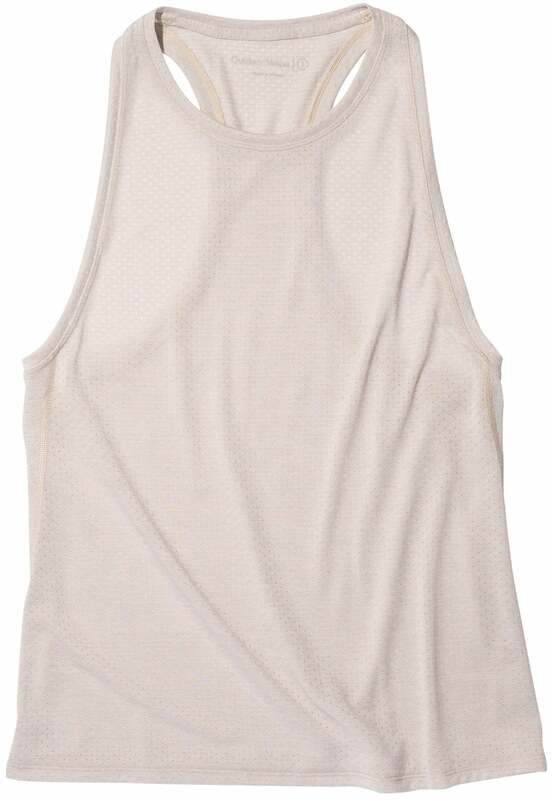 Simplicity is not overrated—and neither is this tank. Wear this top with leggings or even a pair of jeans, thanks to its functional yet contemporary style. A shirt-tail hem is ideal for longer torsos to help keep you covered. Plus, its bright pink color adds a pop to any outfit. 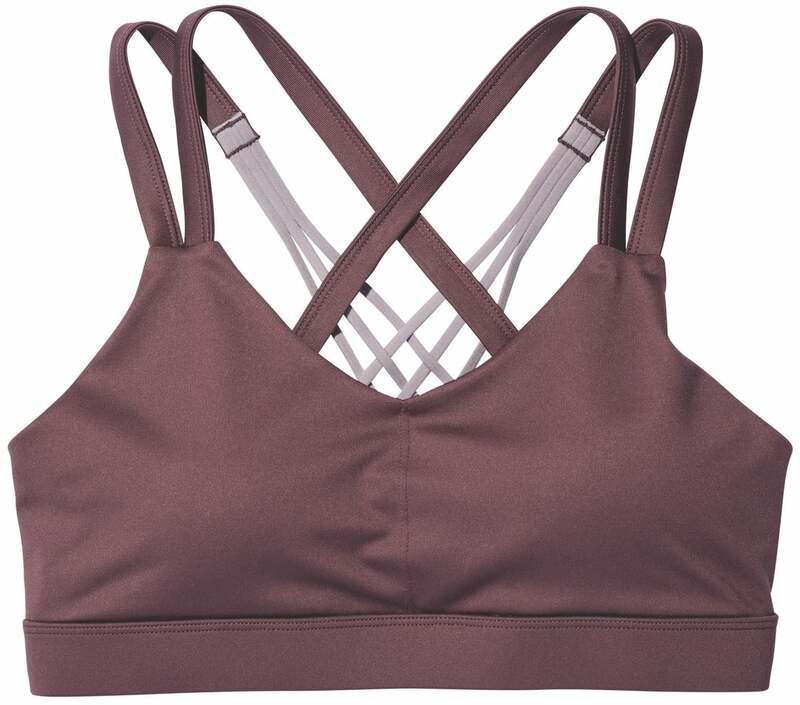 This affordable yet versatile sports bra is great for wearing under any top—the berry and purple colors complement rich winter tones. Not only is it trendy, but you can also expect maximum support from the mesh and spandex fabric—so wear it to your next speed workout or that new HIIT class you’ve been eyeing. It’s all in the details! We’re kind of obsessed with these leggings’ black cherry color and peekaboo design on the lower leg. Other features include a high-rise fit, a wide waistband and a hidden key pocket. Ideal for cross-training like a Pilates or yoga class, the material wicks moisture to keep you cool and dry—no matter if you’re in downward dog or working those glutes on the reformer. Also, the leggings are Bluesign-approved, meaning the pattern doesn’t include any harmful chemicals that could damage the environment. 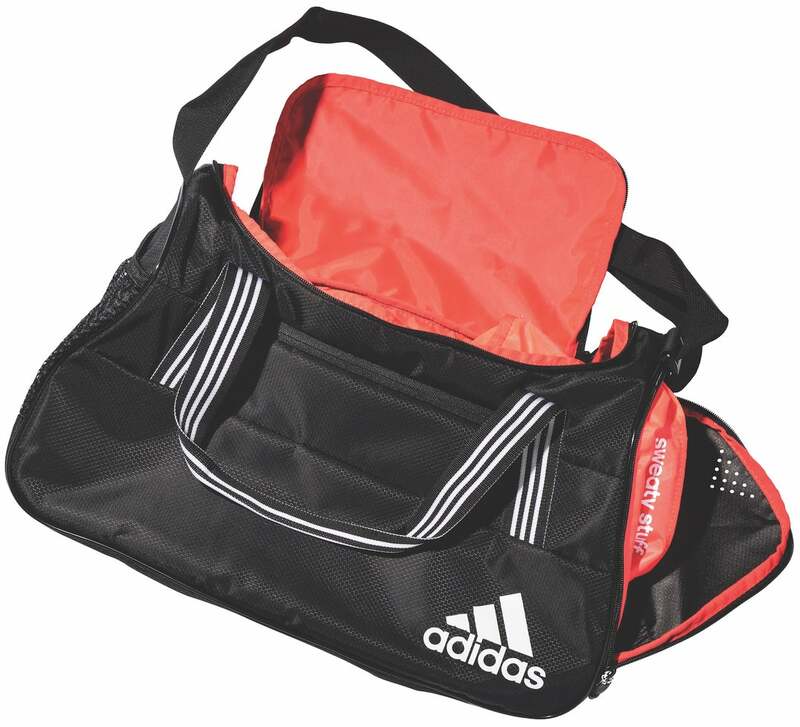 If you’re planning to work out on the go, you’ll need a dependable bag to keep all your running essentials accessible. This bag includes a roomy main compartment and zippered pockets to keep things organized (so your shampoo doesn’t accidentally explode all over your brand-new clothes!). One of the best parts: There’s a storage pocket to keep your sweaty attire separate, so it won’t leave anything else in the bag smelling…ripe. No shoelaces, no problem! 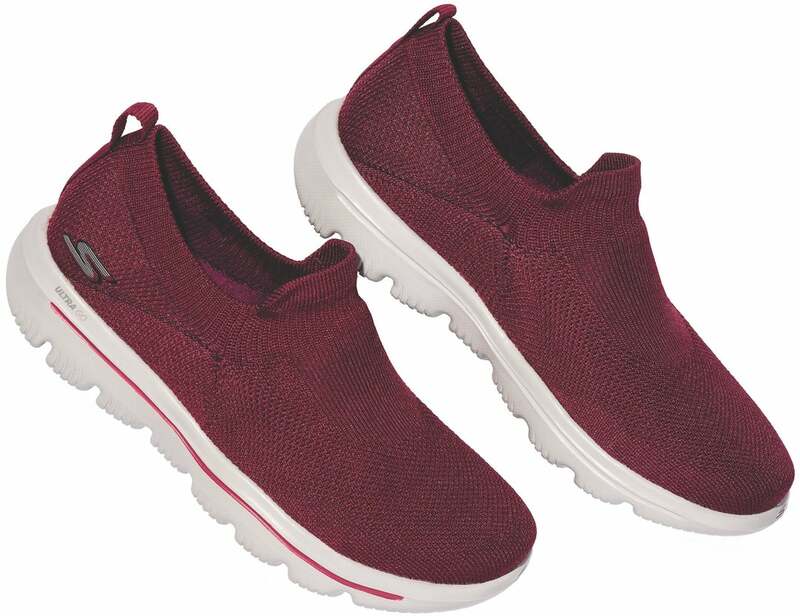 Slip these on to go for a walk or wear them to your next indoor class, and you won’t have to bother with taking the time to lace them up. The knit fabric feels sock-like for a seamless fit. 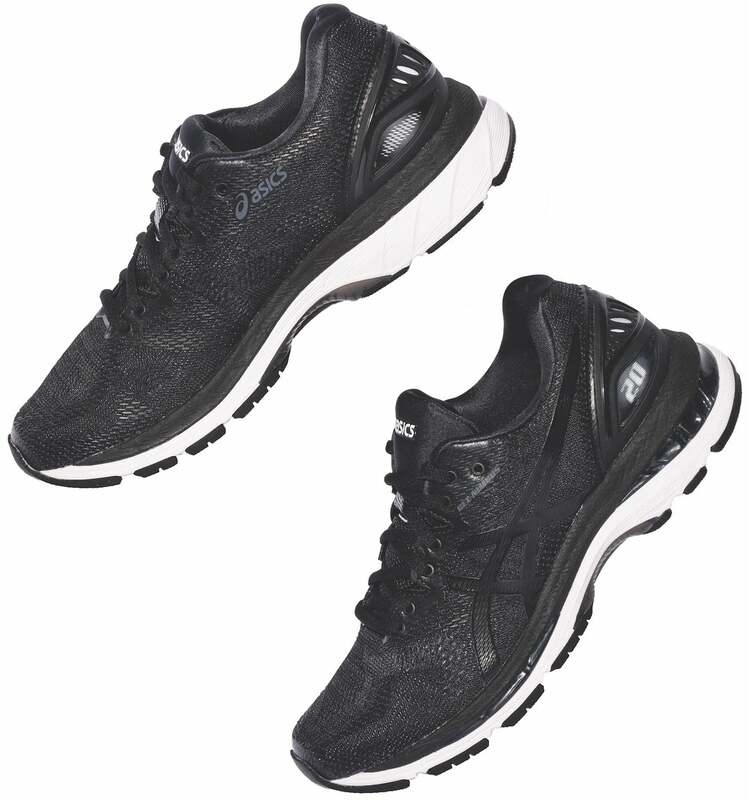 What’s more, the shoes feature lightweight and responsive cushioning to ensure a feel that is extra comfortable. Pull this hoodie on over just about anything—it’s sure to keep you warm and looking stylish! We love the soft colors contrasted against dark bottoms. Lightweight and soft with just the right amount of stretch for a flattering fit, you’ll look put together whether you’re at the gym or out to lunch. 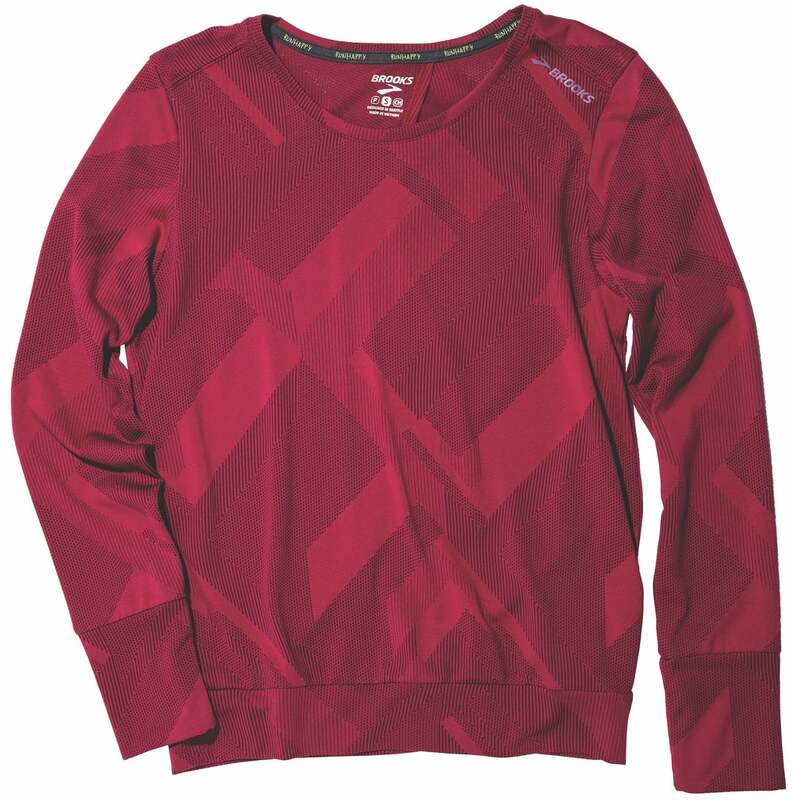 Thumbholes in the long sleeves are excellent to keep your hands warm if you’re running in colder weather.